Consistent with its decision to allocate additional funds in support of medical care, the Chabad community was proceeding with its plans to open a community medical clinic on the ground floor of Beit Baruch, the assisted living center. A lay oversight committee for the clinic was established in 2009-2010 and was working under the direction of Alexander Radinsky, a young Jewish physician who was an early graduate of School #144. The clinic has its own budget and operates independently from the Board of the Philanthropic Fund. Expecting to open in September 2011, the clinic has acquired all of the necessary permits and licenses from various authorities and has engaged a manager. The principal purpose of the clinic, said Mr. Brez, will be to provide first-class medical care to the estimated 6,000 elderly Jews in the city. The clinic will attract excellent physicians with admitting privileges in good hospitals and will have a superb laboratory that will evaluate test results quickly and accurately. Records will be maintained in a sophisticated computer system. Non-Jewish individuals residing in the neighborhood of Beit Baruch also will be able to use the clinic. Fees will be charged on a sliding scale so that the clinic is financially viable and, indeed, will generate revenue. The clinic will be accessible through a separate entrance and reception area so that the lives of Beit Baruch residents are not disrupted. Transportation by van will be available between the Golden Rose synagogue and the clinic. Vyecheslav “Slavik” (also known as Zelig) Brez is regarded as a very competent executive director of the Chabad Jewish community infrastructure in Dnipropetrovsk. He is a local man from a non-observant family who has become more observant as he has worked with Chabad. Mr. Brez expressed concern about the general economic situation, stating that the rate of inflation since January was about 30 percent. Petrol had risen 30 percent in cost, he said, and electricity charges were about 15 per-cent higher. Public transportation had risen about 25 percent, he continued. The greatest price increases, Mr. Brez said, were in several food items, par-ticularly buckwheat (гречика), which had more than doubled in price. Taxes had risen severely, continued Mr. Brez, endangering the economic viability of small and medium-size businesses. Further, a number of tax loopholes have been closed, imposing new financial burden on some businesses and service organizations. In response to a question, Mr. Brez said that unemployment seemed stable. Regarding antisemitism, Mr. Brez stated that the community had engaged someone to monitor both the Internet and local newspapers on a part-time basis to check antisemitic articles and commentary. All incidents are recorded and sent to the SBU (Служба Безпеки України (СБУ); Sluzhba Bezpeky Ukrayiny), the Ukrainian successor to the KGB. The rising Menorah Jewish community center has attracted antisemitic graffiti and threats, Mr. Brez continued, probably because of its size and prominence. He is worried about security of the structure; Israeli consultants have been engaged to advise on perimeter protection and other security measures. Mr. Brez observed that no physical attacks had been committed against individuals in hasidic garb during the last year. 21. 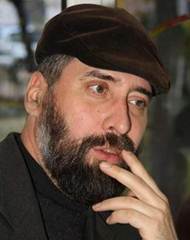 Igor Romanov is Director of the regional office of the Union of Jewish Religious Communities (Объединение юдейских религиозных общин), the Chabad religious organization in Ukraine. The Dnipropetrovsk region includes 16 communities in Dnipropetrovsk and Kirovohrad oblasts. The role of the regional office is to reach out to Jews in population centers that are too small to have resident rabbis. Igor Romanov represents Chabad in small Jewish population centers. He manages several Chabad outreach programs and also maintains contact with police and judicial systems throughout the area, including Dnipropetrovsk itself, on behalf of Chabad. Mr. Romanov stated that almost all resources for regional programs are raised locally, in Dnipropetrovsk and in some of the smaller Jewish population centers in which donors can be found. Lev Leviev no longer sponsors programs in the periphery, and the Chabad Federation of Jewish Communities has withdrawn support from the larger cities that would have been directed to regional towns. Some local Jewish business-men in these smaller centers have indeed stepped forward with contributions in cash or in-kind products, such as soft drinks that are consumed at holiday celebrations. Mr. Romanov is still raising funds for Pesach seders, which would take place in little more than two weeks time. Local yeshiva students will lead the seders. The students also read megillas in some of these communities at Purim, said Mr. Romanov. The Dnipropetrovsk Chabad office distributes 5700 food parcels twice annually (Rosh Hashanah and Purim/Pesach) in Dnipropetrovsk and the region, Mr. Romanov continued. These are provided by Hennady Boholubov, President of the Chabad Jewish community. Another 120 individuals in small towns receive Shabbat food parcels in exchange for attending monthly classes in Jewish studies. Mr. Romanov stated that some of the smaller Jewish population centers currently served through his office probably will disappear within one or two decades. They are populated mainly by middle-aged and older people now, he explained; young people leave for study or employment opportunities elsewhere and do not return. In nearby Pavlograd, he noted, the remaining Jews were incapable of dealing with an incident of antisemitic vandalism in the local Jewish cemetery; Mr. Romanov’s office was instrumental in working with police to apprehend two perpetrators and in arranging for Dnipropetrovsk Hillel members to repair the damage and clean the cemetery generally. In response to a question, Mr. Romanov said that he is not optimistic about the Ukrainian economy. Inflation, he explained, probably is at least 15 percent annually, and unemployment probably is much higher than the officially acknowledged 15 to 20 percent. A government drive to close tax loopholes, particularly a tax on payrolls, will be very problematic for business owners and for managers of non-profit organizations, such as the Dnipropetrovsk Chabad philanthropic association. Even now, he continued, many people live in the shadow economy – and this phenomenon will only grow. 22. Oleg Rostovtsev is a media specialist whose primary client is the Chabad Jewish community structure in Dnipropetrovsk. He is responsible for the community website (http://djc.com.ua) a community newspaper (Shabbat Shalom), and a weekly television show , Alef. Each episode of Alef is shown twice weekly on a regional network and draws several hundred thousand viewers to its program of interviews with local Jews and visiting Jewish guests, information about Jewish holidays and Jewish current events, and news from Israel. Because of its large audience, it attracts significant advertising. Mr. Rostovtsev also produces various compact disks for the community, arranges and manages press conferences, and serves as a guide/contact person for visiting reporters and other media specialists. 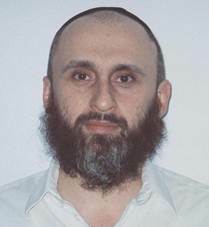 Oleg Rostovtsev is a media specialist employed by the Dnipropetrovsk Chabad community. 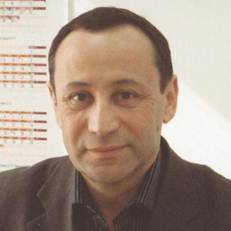 Mr. Rostovtsev observed that the commentary section of the community website is attracting a minimum of 500 antisemitic responses every month on a variety of themes, including resentment of wealthy Jewish oligarchs, anger at Jewish property developers who construct large buildings that “change the character of the city”, dislike of monuments commemorating the Holocaust or other episodes related to Jewish life, and ridicule of local yeshiva students. Some of the comments, he said, are written in almost “illiterate” language and others are fairly sophisticated. In response to a question, Mr. Rostovtsev acknowledged the possibility that just a few people were writing multiple comments, but the community lacks the resources to fully monitor the site and trace their sources. The Jewish community reports these findings to appropriate state authorities, but it is not apparent that the authorities follow up on these submissions. Mr. Rostovtsev observed that many bookstores stock antisemitic literature, placing it in their Jewish sections alongside legitimate volumes on Jewish history, Hasidism, and other Jewish subjects. The problem of historic antisemitism, he continued, is exacerbated by the self-isolating conduct of many hasids who reject communication with the larger local community and live apart from general society. The Russian Orthodox church, he commented in response to a question, generally condemns scurrilous commentary on Jews, but a “huge quantity of myths” [oгромное количество мифов] about Jews and Judaism remains current in Ukrainian culture. Medical testing facilities in the post-Soviet states are notorious for their inaccuracy, corruption, and rudeness. Others in Dnipropetrovsk said that some antisemitism regarding the Menorah Center derives from widespread aversion to one of its sponsors, oligarch Ihor Kolomoisky. See interview with Oleg Rostovtsev, pages 39-40, for further comments about internet-based antisemitism in Ukraine. See pages 40-41 for statements by Mr. Brez about the Jewish women’s microenterprise loan fund.